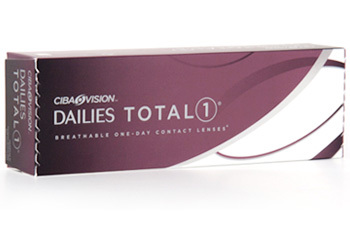 Dailies Total 1 is Ciba Vision's first water gradient silicone hydrogel daily disposable contactlens. 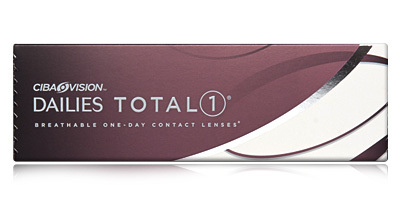 This lens provides the highest surface lubricity and oxygen transmissibility offering exceptional comfort for the wearer that will last throughout the day. 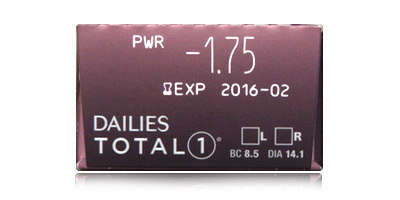 Dailies Total 1 contact lenses are the first-ever water gradient contact lenses designed to feature an increase from 33% to more than 80% water content from core to surface. To enable this water gradient, the Delefilcon A lens material transitions from a highly breathable silicone hydrogel material at the core to a non-silicone hydrophilic polymer structure at the surface. Using Ciba Visions latest generation of Lightstream manufacturing technology these lenses are designed to deliver a highly lubricous lens surface that helps to reduce interaction and friction with the eye's delicate tissue. 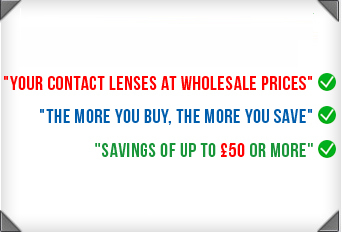 Ask your optician for a trial of these lenses and buy them cheaper at ContactLensesExpress.co.uk.